Fifteen years ago, LeBron James — then fresh out of high school and yet to play a single NBA minute — signed an unprecedented, seven-year, $90 million contract with Nike, which famously included a clause that would pay him even more if the presumptive No. 1 overall pick landed in a major market such as New York, Chicago or Los Angeles. Now, 15 years later, the four-time MVP is finally joining one of those major markets, as he’s set to play his 16th NBA season with the Los Angeles Lakers. Although the “lifetime” Nike contract he signed in 2015 no longer includes that market bonus, James’ ongoing signature series is expected to get a significant boost from his latest move. The combination of James’ move to Los Angeles and the resurgence of his signature line after an incredibly successful year with the LeBron 15 has led to significant internal excitement at Nike heading into the launch of his 16th signature model. The LeBron 15, James’ primary shoe for the 2017-18 season, served as a bounce-back model after two down years created by the polarizing design of the LeBron 13 and the shortened design timeline of the LeBron 14, which was necessitated by a series of last-minute changes. James ended up wearing 51 different editions of the LeBron 15 during the 2017-18 season, some of which were released as part of the #LeBronWatch concept, a series of colorways directly inspired by some of the most iconic designs in the company’s history as well as James’ favorite signature shoes from his childhood and memorable looks from his early models. That design flexibility helped Nike deal with the uncertainty of LeBron’s next team heading into this summer. In 2010, Nike made samples of the LeBron 8 to match the potential palettes of Dallas, New Jersey, New York, Miami, Chicago and Cleveland. The eventual “South Beach” version of the 8 remains one of the most iconic colorways of LeBron’s entire series. “We had samples made for the teams that we thought he could go to,” Petrie said. Outsiders have often wrongly assumed that Nike is deeply involved in team conversations with its players. The Swoosh simply isn’t steering Kevin Durant to Golden State to stifle Steph Curry’s growing Under Armour presence or pushing James to Los Angeles this time around to build upon the legacy that Kobe Bryant recently bookended and tap into a market it has long found success in. Both basketball and sneaker fans were buzzing on a nightly basis about what was on James’ feet, whether it was the pairs inspired by sneakers from classic Nike athletes such as Ken Griffey Jr., Deion Sanders and Vince Carter or the colorways paying homage to Nike’s Air Max 95 running shoe or a gleaming orange original shoebox color. It added a new energy and season-long interest that the line had been missing. That energy will only be amplified with James playing in Los Angeles, as the move already has proved to have a tangible impact on the sales of his merchandise. Fanatics, the league’s official jersey retailer, made James’ Lakers jersey available for preorder within 40 minutes of his news release announcing his move. The sudden rush on July 1 went on to become one of the company’s top 10 sales days for NBA merchandise. James’ jersey, which originally featured a placeholder No. 00 before his eventual No. 23 was decided on, drew sales more than 600 percent higher in the first three hours than his Cavaliers jersey sales upon his return in 2014, according to ESPN’s Darren Rovell. As the official supplier of the league’s authentic jerseys as well as the lower-cost “Swingman” line, Nike will eventually be able to cash in on the LeBron jersey frenzy as well. Beyond jersey sales, the move to Los Angeles is expected to help Nike’s James-branded business. 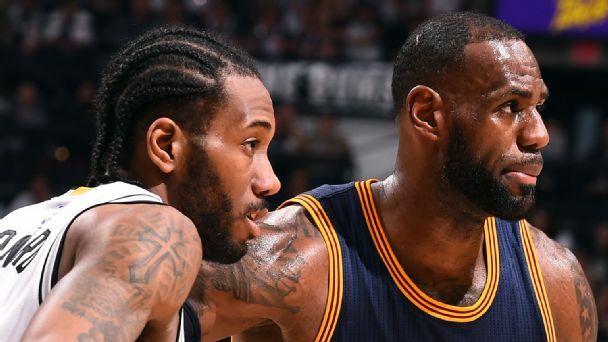 The LeBron line in all now nets north of $350 million annually and has become far more than just the one annual signature model that it started out as. In addition to the namesake $185 LeBron 15, there are the laceless $140 Soldier 12 team shoe, the $115 China-exclusive Ambassador series and a $90 Air Witness shoe for a more value-driven audience. The apparel and accessories capsule of the collection includes everything else you’d imagine from a sportswear brand: sandals, basketballs, backpacks, shorts, tees and hoodies all featuring the “LJ” crown logo. Among fans, there is also an increasing appetite for retro LeBron sneakers, something that is only expected to grow now that he’s no longer in Cleveland, where he played 11 of his first 15 seasons. When James abruptly took his talents to South Beach in 2010, Nike was largely unable to hark back to any Cleveland-era moments or memories — the wound was still too fresh — and focused more on debuting new innovations and graphic executions on his sneakers during his four seasons with the Heat. It wasn’t until James’ return to the Cavs in 2014 that the retro conversation ramped up, leading to the first re-release of the Air Zoom Generation in a handful of colorways over the past year. Because James left Cleveland on more amicable terms this time, Nike is moving forward with winter plans to re-release the Zoom LeBron 3, the model he wore when he first led the Cavaliers to the postseason in 2006. From there, Nike will look at selectively rotating through some of the more beloved early models from the LeBron series while adding a new twist in its approach. Jordan Brand has long been known for its near-exact Retro launches, re-releasing an endless array of Michael Jordan’s most iconic silhouettes as they were originally designed. When it came time for Kobe Bryant’s line to receive the retro treatment, the Lakers legend worked with Nike to reimagine retro sneakers, creating a “Protro,” a vintage sneaker with its original classic look, updated with modern technology. Lakers ticket prices on the secondary market soared in the wake of LeBron James’ joining the franchise, with one person paying $188,781 on StubHub for four season tickets in the lower bowl. While the LeBron Retro launches have all sold out so far, the success has been somewhat tempered by Nike’s limiting the releases to just a fraction of the 400,000-plus pairs that Jordan Brand sells on most launches. Some of that comes with the goal of “responsibly managing” the rollout of the early retro pairs, according to a brand source. In the early stages, overproducing quantities could derail the long-term energy around retro LeBrons. There’s also the uncomfortable truth that while many of James’ shoes have been beloved by collectors — namely the Air Zoom Generation, his first signature sneaker, along with the LeBron 2s, 7s, 8s and 9s — his sneakers have been built to support his 6-foot-8, 250-pound frame, leaving them feeling “overbuilt” for the average consumer. 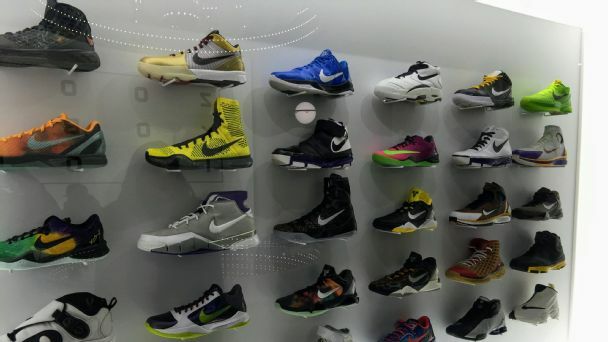 Material innovations such as Flywire and Flyknit that have lightened modern basketball sneakers have often launched first for other players such as Kobe Bryant and Kevin Durant before making their way to LeBron’s line. “He doesn’t necessarily have that timeless Jordan 1 model,” one brand source said. In order to hit on the much-discussed “billion-dollar” potential of his lifetime deal, James would have to reach a sales trajectory on par with the Jordan Brand’s constant rise over the past two decades, with LeBron sneakers selling consistently well after his retirement and into his early 50s, which means not just re-releasing classic sneakers but also continuing to make the new annual LeBron releases something that will sell well both now and into the future.